The cap is small and knob shaped, overlapping in an irregular pattern. 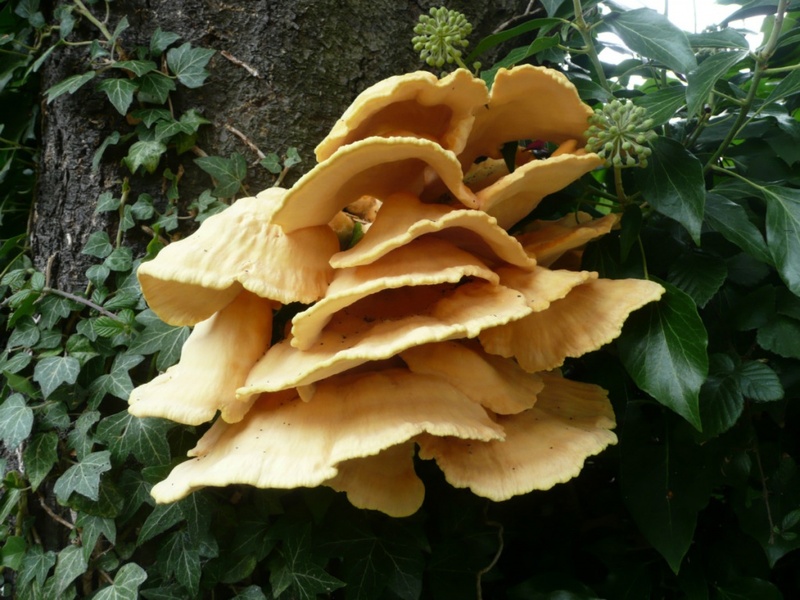 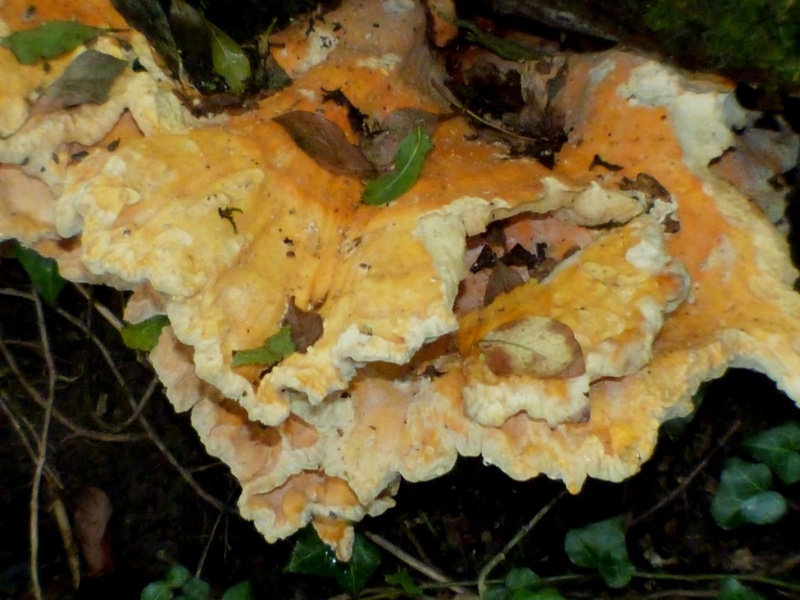 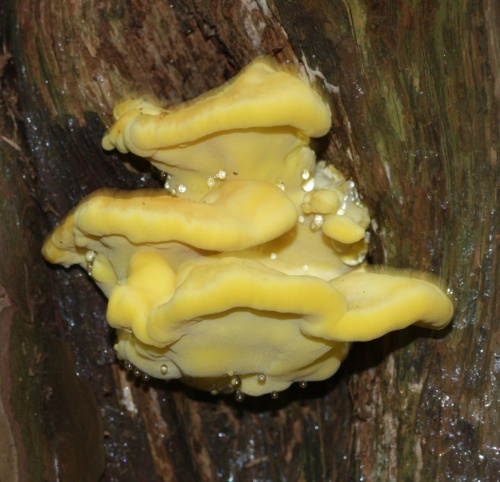 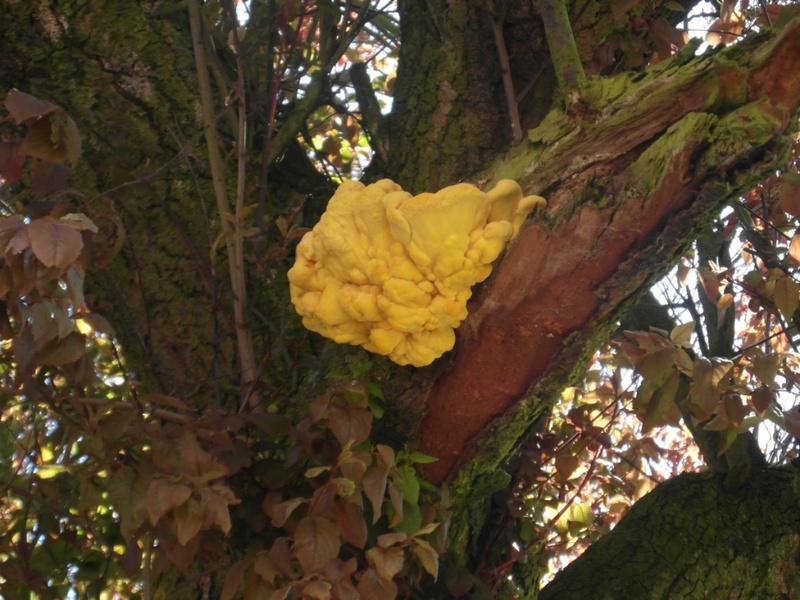 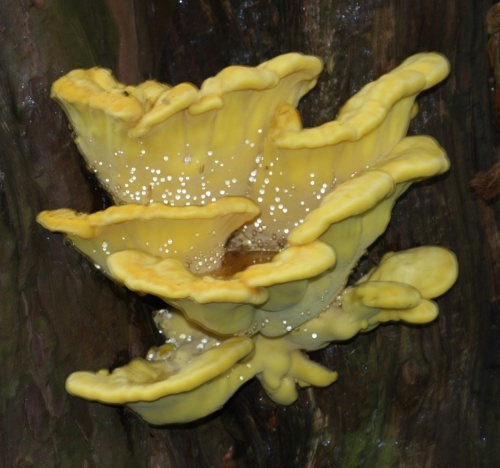 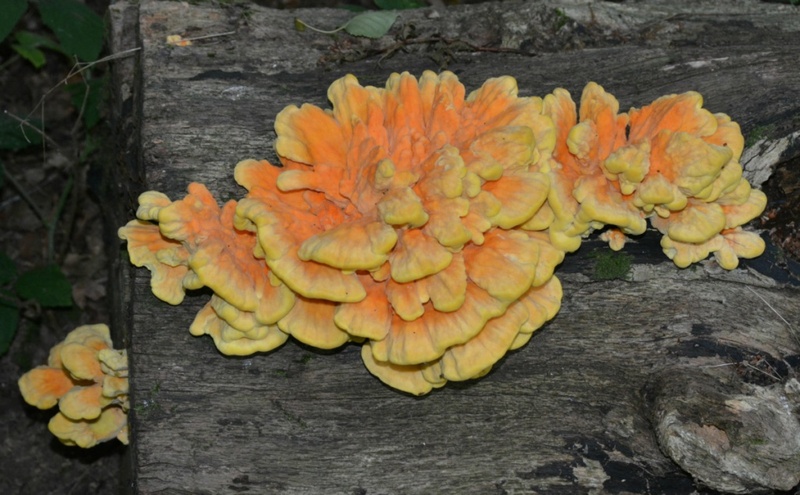 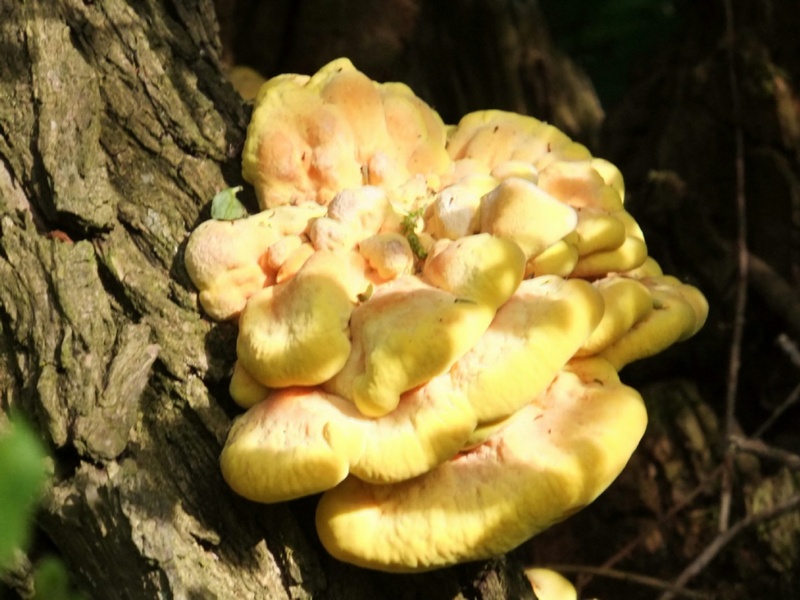 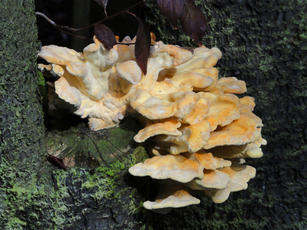 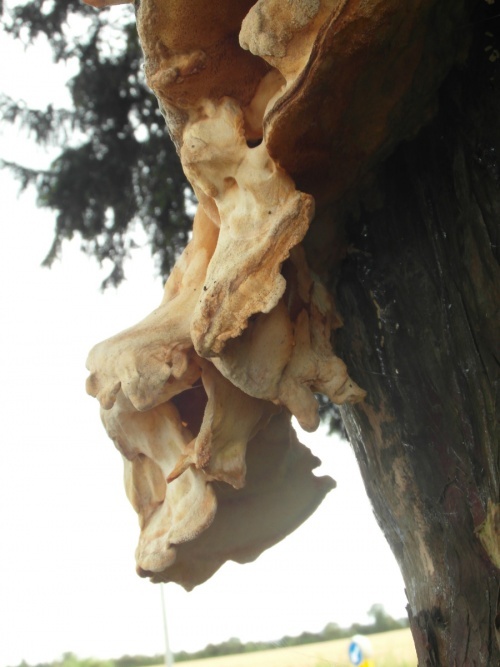 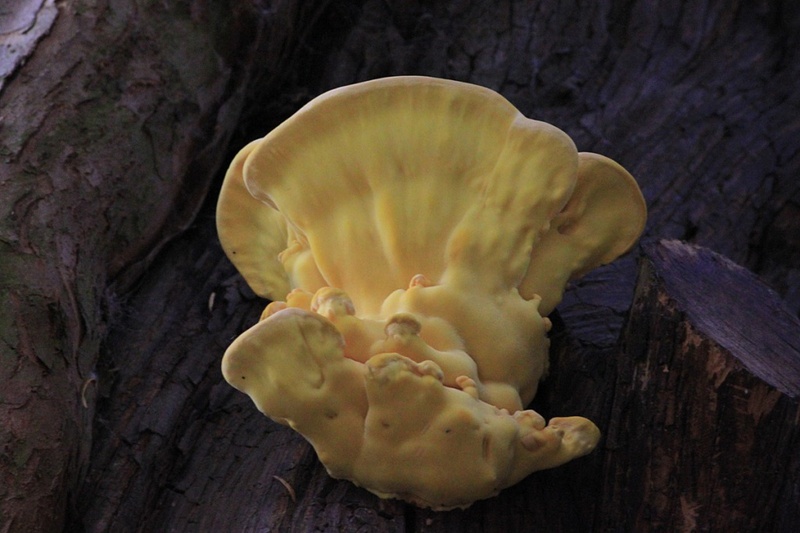 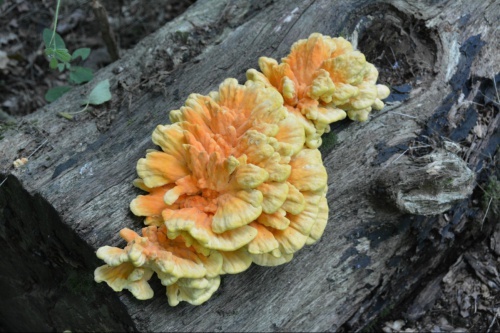 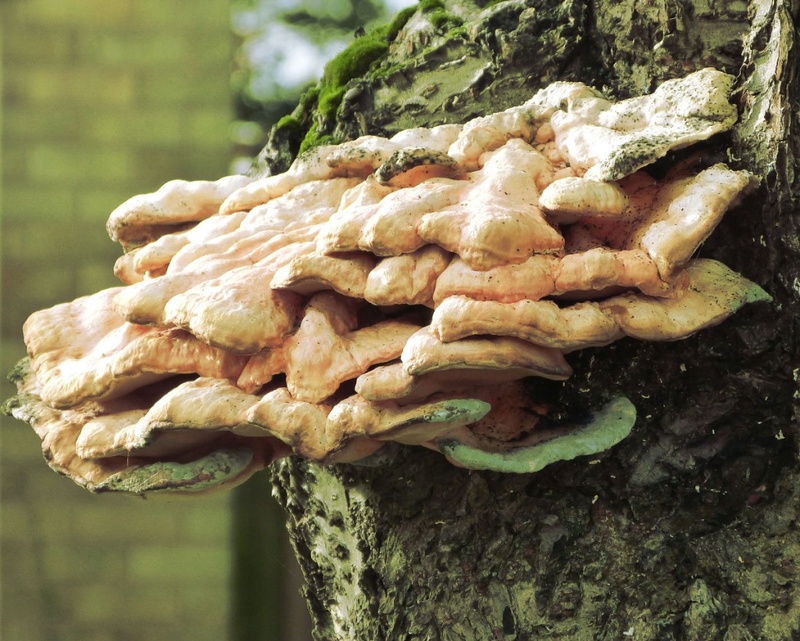 Wide, shaped like a fan, and directly attached to the trunk of a tree, it has a shelf-like appearance and is sulfur-yellow to bright orange in colour and with a suede like texture. 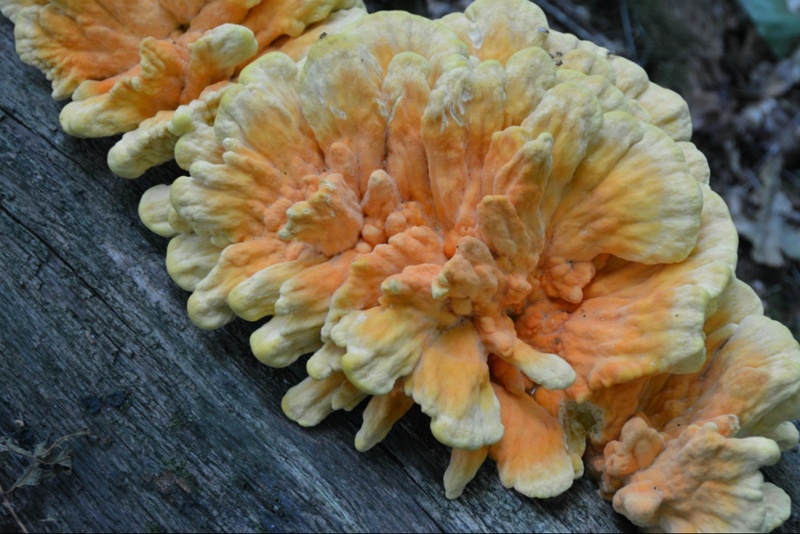 When it is old, the cap fades to tan or white. The shelves often grow in overlapping clumps, and each one may be anywhere from 5 to 60 cm in diameter. 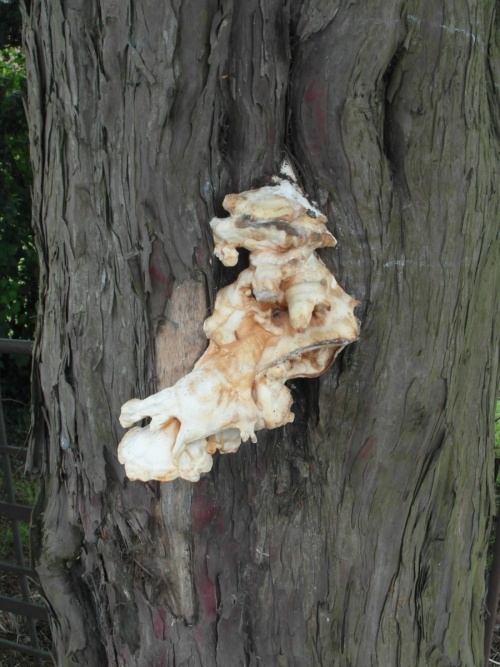 On dead or mature hardwood trees.